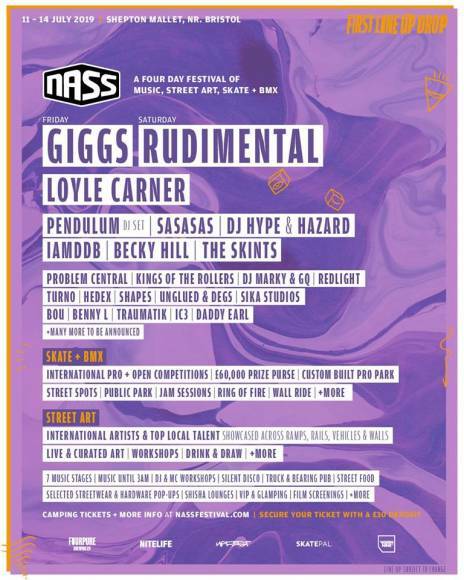 NASS Festival returns for a weekend of banging Drum n’ Bass, Dance, Hip Hop, Grime and high octane action sports. Witness incredible skateboarding and bmx’ing from some of the worlds best in the NASS Pro Park and Vert competitions. The outdoor main stage sure packs a punch and 2019 is going to floor you! Some acts are just too big to fit indoors – expect some epic performances from the biggest names! Southbank – Always a massive party and open ’till late. The Warehouse – Heavy vibes and hard beats in both of the warehouse rave arenas. The Hangar – Expect some big names in The Hangar throughout the weekend in 2019. Enter if you dare! The Lock In – 2018’s brand new stage is returning for a second year! Sika Studios – SIKA just keeps getting bigger! In 2019 expect some surprises and plenty of battles alongside legendary names. Truck & Bearing – The Truck & Bearing is a pub serving up a foot stomping line-up. 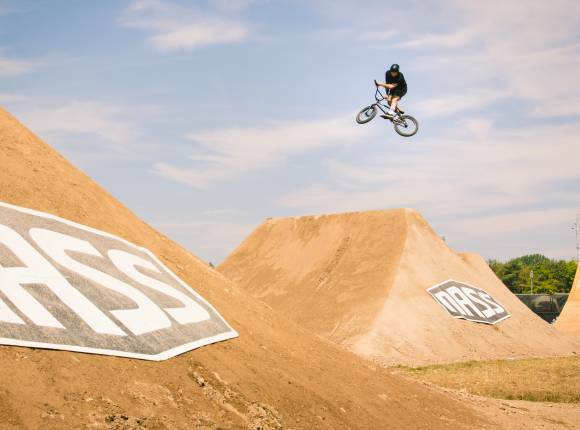 NASS Festival brings together the world’s best athletes to compete in one of the biggest and most progressive contests you will ever witness. 2019 will see the Invitational & open competitions bring along some of the best pros and amateurs from Europe and the U.S skate across Park and vert and is not to be missed!